If you’ve used the Access database, you know that it’s Microsoft’s proprietary Database Management System (DBMS). And just as Microsoft’s other applications, it’s efficient as well as very user-friendly. 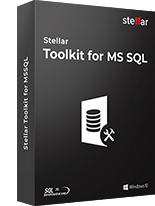 MS Access has a relational MS Jet Database Engine with development tools running at the back and an easy to grasp user interface at the front. The ease of use it offers makes this DBMS a preferred choice for many corporates. However, database files are often plagued by corruption, which can pose a threat to the extremely vital data present in them. MS Access is no different and often faces corruption. 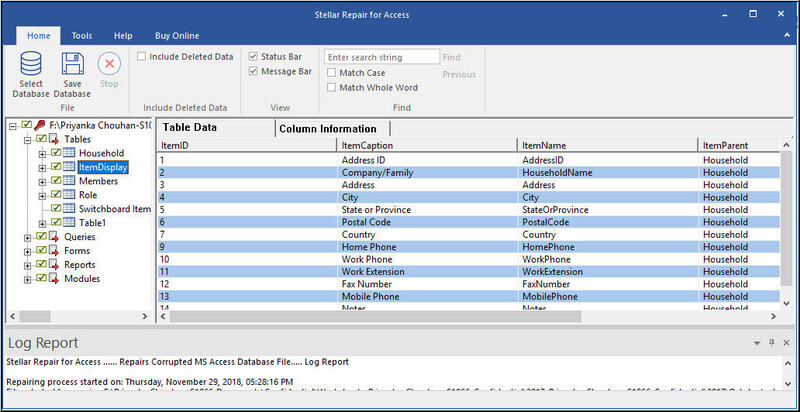 This article is helpful for Microsoft Access database repair and you understand the reasons behind MS Access database corruption and the ways in which it can be resolved. Special Tips – Don’t forget to check out this MDB repair article if you are using MS Access 2003 or lower versions. When the binary file format of a database encounters an error, database corruption occurs. In such a case, users might face random errors or difficulty in using the database. The Jet Database Engine of Access auto-fixes minor issues that crop up in the database from time to time while reading and writing data normally. 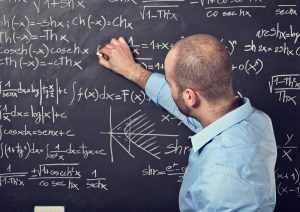 Due to this, in most cases, you may never find out that something went wrong! This is both good and bad. Good because your work is not interrupted, bad because corruption can become worse with time if not treated. Hence it is important to understand every aspect of Access database corruption. Frequent edits to data in Memo fields increases the chances of Access database corruption. It mostly results from a problem with a VBA module and does not pose a risk of data loss. However, it does pose a risk of database design damage. Interrupted change to data — because of network service loss for example — causes Access to mark the database file as corrupted. 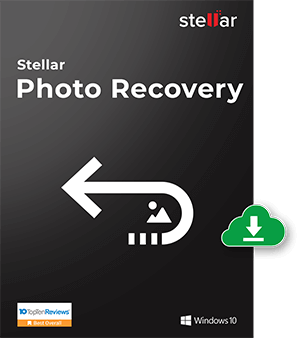 The file can be repaired, but some data may be missing after the repair is complete. If a Virus infects a file needed by the Access database, as soon as that file is used when the database opens, the infection will spread to the database and corrupt it. Hardware failures like lost packets on network cards and bad sectors on hard drives can cause database corruption. Improperly designed or installed third-party plug-ins for Access can corrupt the database. 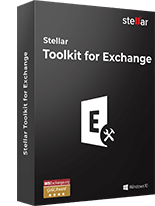 If multiple users of the same database have different Jet service packs and updates installed, minor differences in the mdb file format and file-locking mechanisms can cause database corruption. A few bugs in Access and Jet software are sometimes themselves responsible for corruption. Though it happens very rarely, improper shutdown of the system while some activity is being performed on the database can lead to its corruption. 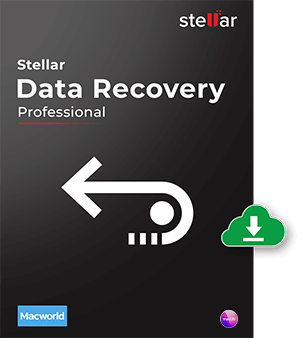 Restore the database from a backup file – This is why backups are very very important! Delete the .ldb file that is auto-created by the Jet database engine when the database is opened. Use the Jet Compact Utility that has been specifically designed to rectify minor corruptions in Access database. Note: You may need to change the path shown above for MsAccess.exe if you installed it to a different location. 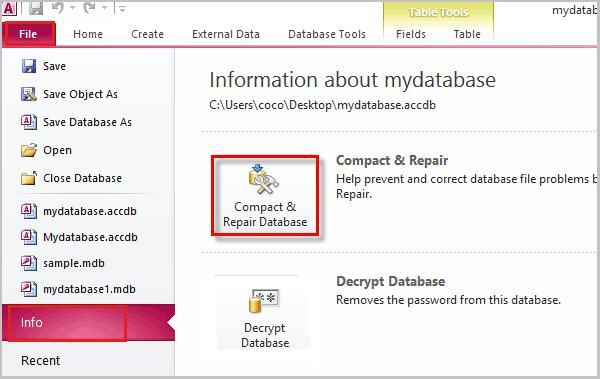 Open MS Access (not the database file) and go to Database Tools -> Compact & Repair Database. 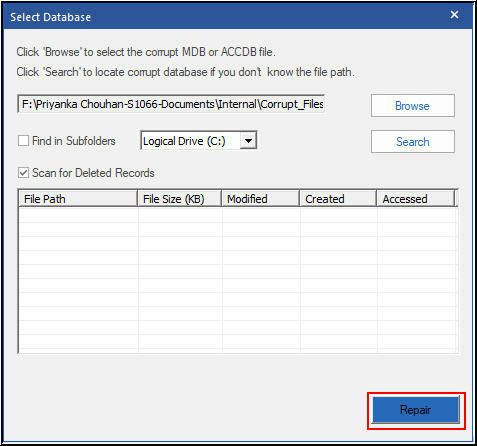 Locate the corrupted database file and click on Ok.
Click on Access to Import Access database under the External Data tab. In the next window that pops-up, click on Browse and locate the database file while is to be imported. 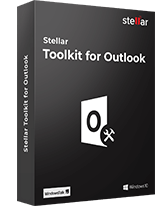 Specify the place and technique to store data in the new database and click on Ok.
From the next window select all database objects that you want to import and click on Ok. If even after all the above techniques, the database corruption persists, the recommended solution would be to buy a premium quality third-party Access database repair software or else send the database to an Access repair company. 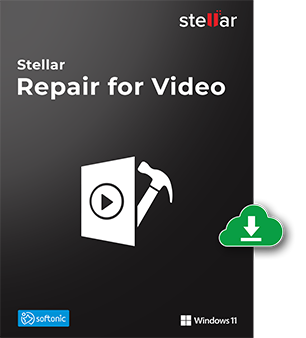 Download and install Stellar Repair for Access. Select the corrupt file using ‘Browse’ button. 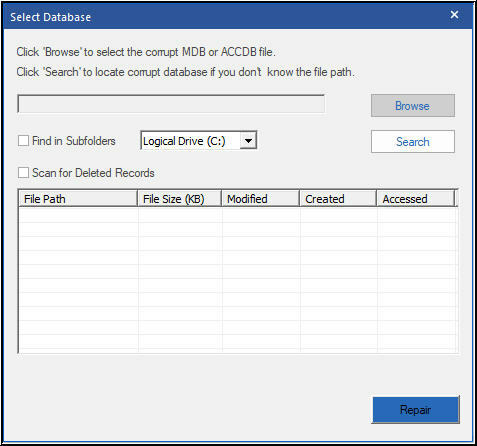 You can also search the corrupted MDB or ACCDB files from the appropriate drive by selecting the drive and click on ‘Search’ button. 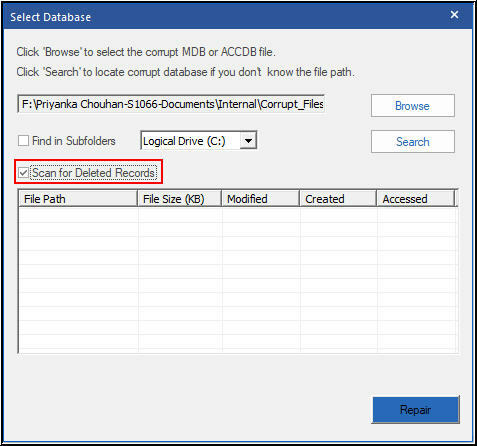 Check the “Scan for deleted records” checkbox to include the deleted records for recovery. After completion of the repairing process, a confirmation message will appear on the screen. Click on OK. In the left pane, database objects will be listed in the tree form. Click on the objects to see the preview. To save the repaired data, click on the Save button and choose the location. 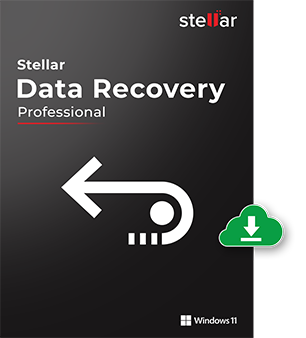 Select destination to save the repaired database file. The file will be saved at the desired location. Now that you know about Access database corruption, its reasons, and solutions, do give them a try before rushing to the repair company. It might save your time and money. Thanks for your wonderful feedback. We are always here to help you. Can I repair password encrypted MS access file? You can’t repair encrypted MS Access database directly. 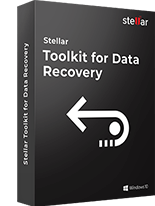 Before starting the repair process, you need to unlock the damaged database file. 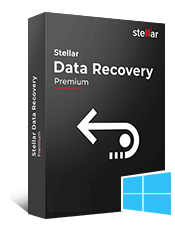 Can you suggest any freeware tool to repair MS access database file? Try inbuilt solution i.e. safe. Some freeware exes are malicious code. So, you should avoid downloading tool from unsafe places.